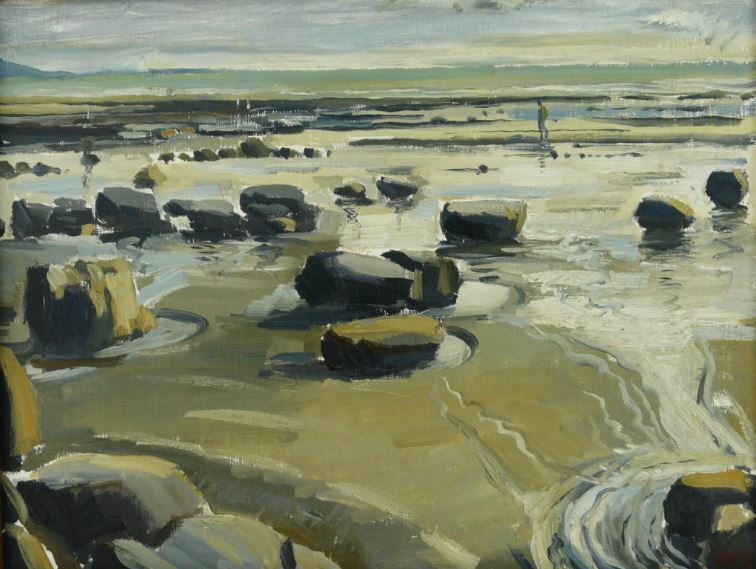 Your tutor teaches through practical demonstration and one to one support; studio tuition will evolve to technically organise oil paint media to create a successful landscape painting. The characteristics of the local topography and extending Oxfordshire landscape will be used to discover working approaches for ‘setting up’ to paint outdoors, and how to manage the changing visual elements of light, shadow and colour. A possible (local) site visit may be programmed. The tutor instructs students in health and safety issues relevant to this course. As well as the general description of the landscape picture plane and drawing, fundamental painting approaches, such as using supporting ‘ground tints’, wet in wet (al fresco) mark making, scumbling, impasto and glazing will be taught. Materials are not included in your course fee. Most materials including oil colour and mediums will be provided by the tutor. The approximate cost of these will be £25.00 to £30.00, payable to the tutor during the course. ​We do not have the facilities to take card payments for materials in the workshops. Please remember to bring cash or your cheque book if your course involves buying materials from the tutor. If you have any oil paints / brushes/palette/ mediums along with additional tools/materials that you would like to bring with you then please do so. You may not need to use them however – the tutor has listed all your essential needs for this particular course above.